NSS has signed two new contracts with Sun Metals Corporation. 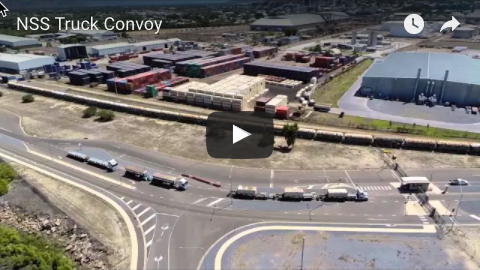 The first is a five-year bulk ferrite handling contract for the transportation, storage and loading of more than 200 kilotonnes of ferrite per year through NSS’ new Hubert Street bulk shed. 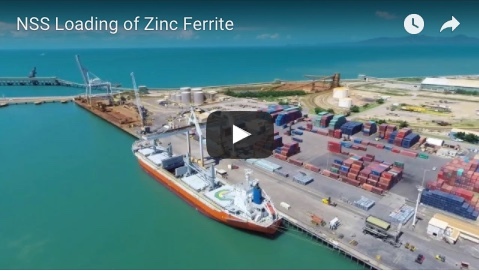 The ferrite will be loaded into side tippers at the Sun Metals Corporation refinery before being transported to the Hubert Street shed, which is able to store up to 20 kilotonnes of ferrite per shipment. This will then be packed into half-height containers to be delivered to the side out the outbound vessel docked at the port. The NSS Rotabox™ will make it possible to lift the covered containers into the hold before being tipped to release the ferrite. As a result, productivity will be increased to a higher efficiency of 500 tonnes per hour. NSS has also secured a three-year zinc concentrate contract with Sun Metals Corporation. NSS will use a grab type ship unloader to discharge over 220 kilotonnes of zinc concentrate per year. The zinc concentrate will be deposited into covered rail wagons through a specialised hopper. NSS is proud of the relationship cultivated with Sun Metals Corporation thus far, and envisions further co-operation to reach joint milestones in the years ahead.